Three New England states are combining their buying power to purchase clean energy resources and transmission to deliver it. Connecticut, Massachusetts and Rhode Island on Wednesday released a draft request for proposals (RFP), starting a 30-day comment period. The states will issue the final RFP, which will seek power purchase agreements totaling more than 2,300 GWh of renewable energy per year, this spring. “The joint procurement process opens the possibility of procuring large-scale projects and transmission to deliver clean energy on a scale that no single state could secure on its own,” Connecticut Gov. 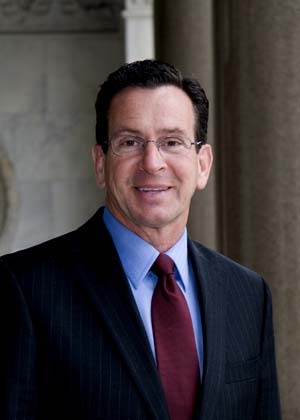 Dannel Malloy said in a statement. The RFP will seek bids on new Class I renewable energy projects of at least 20 MW and large-scale hydro power projects that were constructed after Jan. 1, 2003. Class I includes wind, solar, small hydro, biomass and fuel cells. The draft RFP seeks power that can be delivered with and without transmission upgrades. Bids received will be evaluated by the combination of host utilities, state energy and environmental departments, and other officials. ISO‐NE will be asked to provide high-level advisory information. Under their state laws, Connecticut is seeking 1,500 GWh per year of qualified energy and Massachusetts 817 GWh. Rhode Island has no specific quantity. “This solicitation is broader in scope and geography than those state‐specific legal requirements and therefore, certain aspects of this RFP may require legislative and/or regulatory action in order to ensure cost recovery for certain types of proposals,” the document states. The New England States Committee on Electricity, which includes all six states, is not directly involved in this process. The proposal notes NESCOE staff helped draft the RFP but will not select potential projects. NESCOE is pursuing natural gas infrastructure projects to provide that resource to its members. Allco Renewable Energy Group has challenged a three-state effort to bring more renewable energy to New England. A federal appeals court has halted the award of clean energy contracts sought by three New England states while it considers an appeal filed by Allco. New England states will negotiate with developers of six renewable projects totaling 460 MW in the next phase of their effort to procure clean energy.